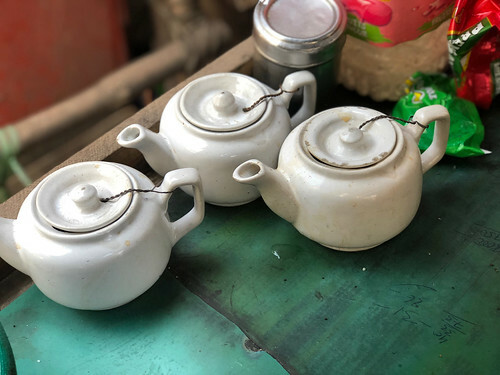 The love of pavement tea. 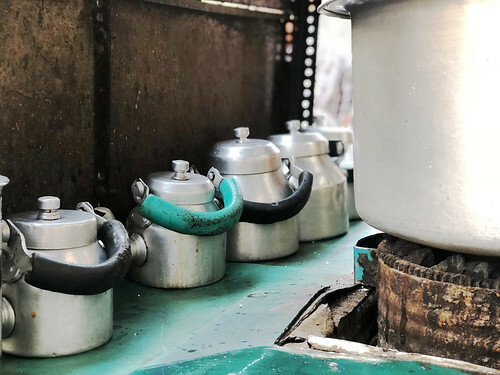 If British writer Jane Austen was still alive and happened to stumble across this unusual tea stall she’d probably express ardent admiration for its owner. 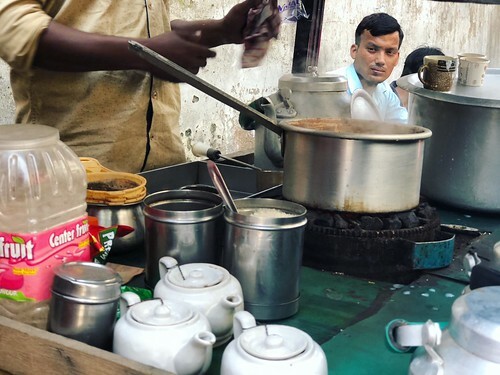 Mahaveer runs this unique stall where chai is served in dainty kettles, akin to a drawing room scene in one of Ms Austen’s famed novels. To be sure. 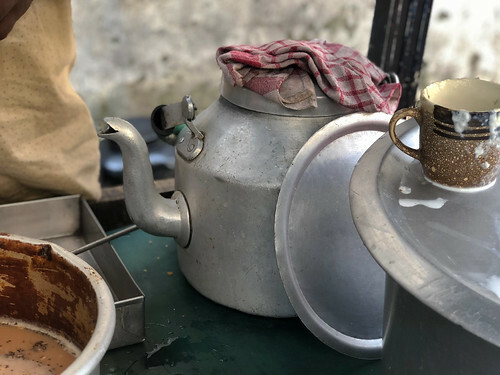 It takes longer to brew the tea. 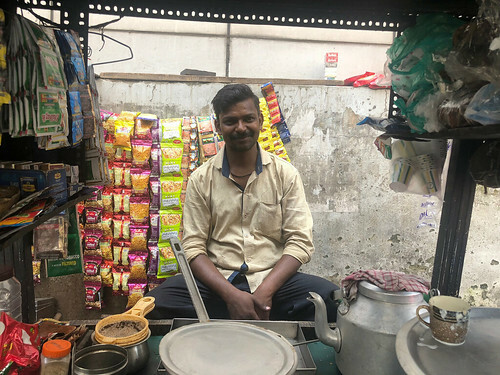 Mahaveer always warns first-time guests to be prepared to wait for at least ten minutes. 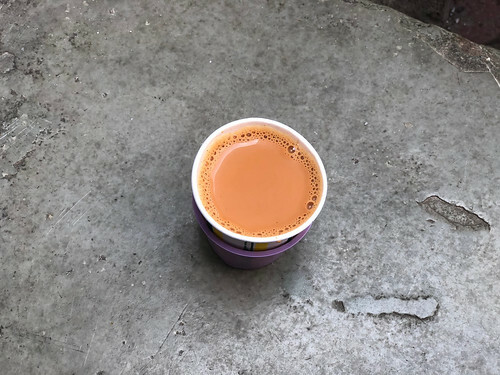 So, the chai is brewed to the customer’s specification, of course; but then unromantically served in plastic glasses. 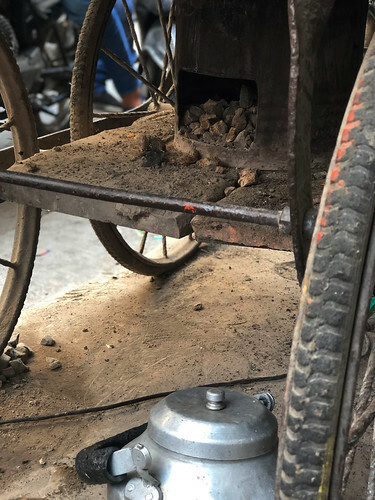 This disappointment is offset by quietly gazing at those smoldering coals in the ash-dusted angeethi (stove)—a rare sight nowadays. 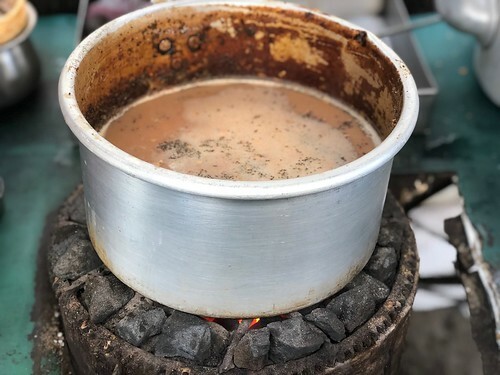 His stall is open daily from 7 am to 8 pm except Sundays.